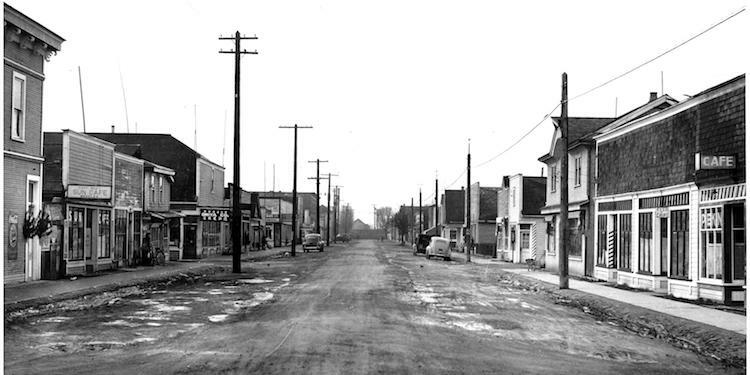 Steveston after the internment of Canadians of Japanese ancestry. In all of Canada, 10 per cent of all the Canadians interned came from Steveston. Honouring our heritage is about so much more than preserving nostalgic items and photos. Sometimes, the past teaches us how to do better in the future as seen by the photo above from the Vancouver Public Library. The City of Richmond opened their Heritage awards nominations today and the submission deadline is April 17. Anyone can submit a name of a group or person they feel worthy of recognition for their work in the heritage category. So, while we may be looking at the past, the city is asking for the names of those organizations or individuals you look up to in the heritage category. “The Richmond Heritage Commission is encouraging the public to submit nominations. Simply complete a one-page nomination form describing the nominee and their contribution,” says city spokesperson Ted Townsend. “If you know of a person or an organization deserving to be recognized for their dedication to historic places, public history or a heritage interpretation project in Richmond, nominate them for a Richmond Heritage Award,” he says. -contributions to local knowledge of heritage in public history or interpretation projects. Nomination forms are available by emailing Minhee.Park@richmond.ca. Submissions are to be emailed back to the same email or mailed to Richmond Heritage Commission c/o City of Richmond Policy Planning Department, 6911 No. 3 Road, Richmond, BC, V6Y 2C1. The Awards Jury will include members of the Richmond Heritage Commission. All decisions of the jury are final. The annual Richmond Heritage Awards will be presented on Saturday, May 11 at the Richmond Regional Heritage Fair’s closing ceremony at Richmond Cultural Centre, 7700 Minoru Gate.